Persimmons are delicious fruits that can provide us with vitamin C, iron and antioxidants. Just like most other fruits, eating persimmons have many health benefits for us humans. For example, eating persimmons can boost our immune system and is good for our eyes. If you like persimmons, you might want to share a piece or two with your canine friend, but can dogs eat persimmons? The short answer would be yes, in small amounts, dogs can eat persimmons. However, persimmon seeds are dangerous to dogs, so always remove the seed before giving a persimmon to your dog. While the answer to the question “can dogs eat persimmons?” is yes, there are a few things you need to keep in mind when sharing this fruit with your dog. Persimmon seeds are not toxic to dogs like most other fruit seeds, but because of their relatively large size, they are still problematic for dogs. Persimmon seeds can cause serious health problems such as inflammation of the small intestine and intestinal obstruction in dogs. These conditions are both painful and dangerous, so remember to always remove the seed before giving a persimmon to your dog. If you remove the seed, then the fruit itself is not dangerous to your four-legged friend. However, persimmons have a laxative effect, so you still have to be cautious. If you have a small-sized dog, then know that even a few persimmons could cause diarrhea for your little canine friend. I’d recommend not to feed a small-sized dog more than a few pieces of persimmon at a time. Medium and large sized dogs could have up to one or two persimmons at a time. But remember, no seeds! Having your own garden is great, especially if you are a dog owner. However, if you grow fruit trees in your garden, then that can cause problems at the time of the year when the fruits ripen and fall to the ground. While some dogs couldn’t care less about the fallen fruits, some seem to have a sweet tooth for fruit and will take advantage of the opportunity and eat fruit from the ground. If your dog likes persimmons, then there’s a good chance that she would eat fallen persimmons in the garden if left with the opportunity. That is a problem because there’s a good chance your dog would ingest the seeds as well and, as I already mentioned above, persimmon seeds are dangerous to dogs. That’s why, if you have a fruit trees in your garden (it’s not just the persimmon seeds that are dangerous to dogs, but the seeds of other fruits as well), you have to make sure that your dog doesn’t have access to the fruit trees at the time ripen fruits fall to the ground. 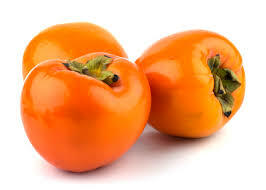 If your dog likes the taste and is not easily affected by persimmon’s laxative effect, then occasionally treating your dog with a few pieces of this fruit is not such a bad idea; after all, persimmons are a good source of iron and potassium. In conclusion, dogs cannot eat whole persimmons because of the seeds. Giving your dog a few pieces of the fruit, though, is okay. Many dogs actually like persimmons, but if your dog is not one of them, don’t worry because there’s plenty of other fruits (e.g. apples, bananas, watermelon) that you can share with your four-legged best friend. How does your dog feel about persimmons? Has the laxative effect caused any problems for your doggy? Please feel free to comment and share your stories. “Health Benefits of Persimmons.” Organic Facts. Web. 7 Jun. 2016. I actually once did try giving my dog a piece of persimmon, but he didn’t eat it. I guess he knew that it wouldn’t be good for him. My 6 month old Lab Puppy LOVES Persimmons. We have to (daily), beat her to the persimmons trees, cause She loves them. She is VERY hyper, and I wonder if the persimmons have anything to do with that?????? It could very well be that your dog eats too many sugary fruits. Dogs can experience sugar high just like humans. 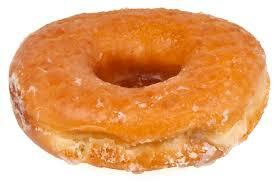 Having too much sugar in her diet can make your dog unfocused and hyper-active. I’d recommend to not let your dog eat persimmons or other sugary fruits for a few days to see if that makes a difference. 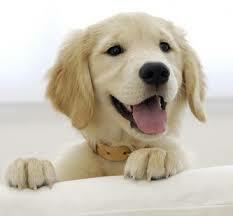 However, as your dog is only 6 months old, her behavior could also be explained by the fact that she is still a puppy. Puppies often act hyper. It could simply mean that she wants attention. My Yorkie loves the persimmons growing wild in our forest. 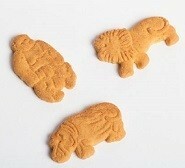 They are very small and I allowed him to eat one on two different days before reading this. He hasn’t shown any problems but I won’t allow him to eat any more. Thank you. I believe my yorkie has eaten some persimmons. He has vomited a couple of times but definitely has a loose stool. Should I worry about it? I have two little maltipoos, under 10 lbs. they both love persimmons and knowing when I have cut one, they come running. Have experiences no bad side affects from the fruit. I give them each 6-10 small pieces in one sitting. My maltipoo loves persimmons, and I’ve seen no negative effects. Though I’ve never given him more than a quarter of the fruit.